There shall be levied a tax called the Central/State Goods and Services Tax (CGST/SGST) on all intra-State supplies of goods and/or services on the value determined under section 15 and at such rates as may be notified by the Central/State Government in this behalf, but not exceeding fourteen percent, on the recommendation of the Council and collected in such manner as may be prescribed. GST is a comprehensive VAT on the supply of goods or services or both. All goods and services will be subject to GST unless specifically exempted i.e. operating on negative concept. It is a tax on supply of goods or services or both except taxes on supply of the alcoholic liquor for human consumption”. The value of a supply of goods and/or services shall be the transaction value, that is the price actually paid or payable for the said supply of goods and/or services where the supplier and the recipient of the supply are not related and the price is the sole consideration for the supply. Explanation- The amount of subsidy shall be included in the value of supply of the supplier who receives the subsidy. Where the value of the supply of goods or services cannot be determined under sub-section the same shall be determined in such manner as may be prescribed. How to check GST Number? The CGST/SGST shall be paid by every taxable person in accordance with the provisions of this Act. There are two types of ledgers to be maintained on the GSTN portal once the taxable person registered himself on the portal. One is Cash ledger and other is Input Credit ledger. The cash ledger will reflect all deposits made in cash, and TDS/TCS made on account of the taxpayer. The information will be reflected on real time basis. This ledger can be used for making any payment on account of GST. Money can be deposited in the Cash Ledger by different modes, namely, E-Payment (Internet Banking, Credit Card, Debit Card); Real Time Gross Settlement (RTGS)/ National Electronic Fund Transfer (NEFT); Over the Counter Payment in branches of Banks Authorized to accept deposit of GST. 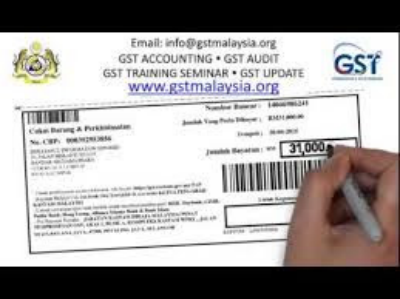 In the GST regime, for any intra-state supply, taxes to be paid are the Central GST (CGST, going into the account of the Central Government) and the State GST (SGST, going into the account of the concerned State Government). For any inter-state supply, tax to be paid is Integrated GST (IGST) which will have components of both CGST and SGST. In addition, certain categories of registered persons will be required to pay to the government account Tax Deducted at Source (TDS) and Tax Collected at Source (TCS). In addition, wherever applicable, Interest, Penalty, Fees and any other payment will also be required to be made. (i) Through debit of Credit Ledger of the taxpayer maintained on the Common Portal- ONLY Tax can be paid. Interest, Penalty and Fees cannot be paid by debit in the credit ledger. Tax payers shall be allowed to take credit of taxes paid on inputs (input tax credit) and utilize the same for payment of output tax. (ii) In cash by debit in the Cash Ledger of the taxpayer maintained on the Common Portal. Payment of taxes by the normal taxpayer is to be done on monthly basis by the 20th of the succeeding month. Cash payments will be first deposited in the Cash Ledger and the taxpayer shall debit the ledger while making payment in the monthly returns and shall reflect the relevant debit entry number in his return. As mentioned earlier, payment can also be debited from the Credit Ledger. Composition tax payers will need to pay tax on quarterly basis. There will be real time two way linkage between the GSTN and the Core Banking Solution (CBS) of the Bank. After entering all the details of the tax payer CPIN (Common portal Identification number) is automatically routed to the Bank via electronic string for verification and receiving payment and a challan identification number (CIN) is to automatically sent by the Bank to the Common Portal confirming payment receipt. No manual intervention will be involved in the process by any one including bank cashier or teller or the taxpayer. A taxpayer can partially fill in the challan form and temporarily “save” the challan for completion at a later stage. A saved challan can be “edited” before finalization. After the tax payer has finalized the challan, he will generate the challan, for use of payment of taxes. The remitter will have option of printing the challan for his record. No. After logging into GSTN portal for generation of challan, payment particulars have to be fed in by the tax payer or his authorized person. He can save the challan midway for future updation. However once the challan is finalized and CPIN generated, no further changes can be made to it by the taxpayer. TDS stands for Tax Deducted at Source (TDS). As per section 37, this provision is meant for Government and Government undertakings and other notified entities making contractual payments in excess of Rs. 10 Lakhs to suppliers. While making such payment, the concerned Government/authority shall deduct 1% of the total payable amount and remit it into the appropriate GST account. Any amount shown as TDS will be reflected in the electronic cash ledger of the concerned supplier. He can utilize this amount towards discharging his liability towards tax, interest fees and any other amount. Such deductors needs to get compulsorily registered under section 19 read with Schedule III of MGL. They need to remit such TDS collected by the 10th day of the month succeeding the month in which TDS was collected and reported in GSTR 7. The amount deposited as TDS will be reflected in the electronic cash ledger of the supplier. They need to issue certificate of such TDS to the deductee within 5 days of deducting TDS failing which fees of Rs. 100 per day subject to maximum of Rs. 5000/- will be payable by such deductor. Author of this article is CA Deepak Bharti who is member of ICAI and can be reached at cadeepakbharti@yahoo.com. Suggestions/comments are most welcome. Company: N A V & Co.